In my effort to get more questions answered before I announce the winning schools on Friday, I’m answering three questions from one school today, which I’ve chosen because they are all linked. Each has something to do with online pressure. The questions are from class 6RS at Perton Middle School in Wolverhampton. Thank you to them! The online disinhibition effect is the well-established observation (by psychologist John Suler back in 2004) that most people, of all ages, are somewhat less careful, less thoughtful, less inhibited in a conversation that is online, compared to a face-to-face or even a phone conversation. So they can be crueller and say things they’d never say directly. This is partly because you don’t have eye contact so you can’t see that someone has been affected by your words but it’s also partly because there’s a time-lag, so your words don’t necessarily have an instant reaction. Whatever the reasons (and there are more), people can be more cruel online and the effects are worse for the person who is suffering, because if people don’t get to see the results of their words they can’t step in and repair the damage. 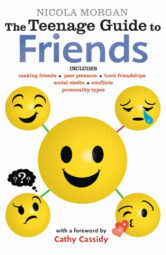 If you’re being upset by the group chat (and the chat typically continues over far, far longer than a face-to-face chat would) you may well feel any or all of these: undermined, left out (and you may think, perhaps correctly, that others in the group are talking about you secretly, too), upset, angry/sad, worthless. So, you can feel very bad, low, left out, worthless. Helpless, even. Tell someone. Please, please tell someone. A friend (either in the group or not) or a teacher (they are trained to respond usefully) or another adult. Do your best to push it lower down your priority list of things to think about. I know that’s hard – emotion makes us focus on what’s upsetting us – but if you try you might surprise yourself. Always remind yourself that although this feels bad right now, it will NOT feel bad later – whether tomorrow or next month or next year, I don’t know, but at some point it will not be in your thoughts. Are these really the friends you want to have? If this was just a one-off, fine. But if this keeps happening, why do you call them your friends? Friends are meant to support each other, be in tune, care. (Of course, friendships can have their wobbles but basically your friends should not be making you feel bad on a regular basis.) Walk away and make new friends? 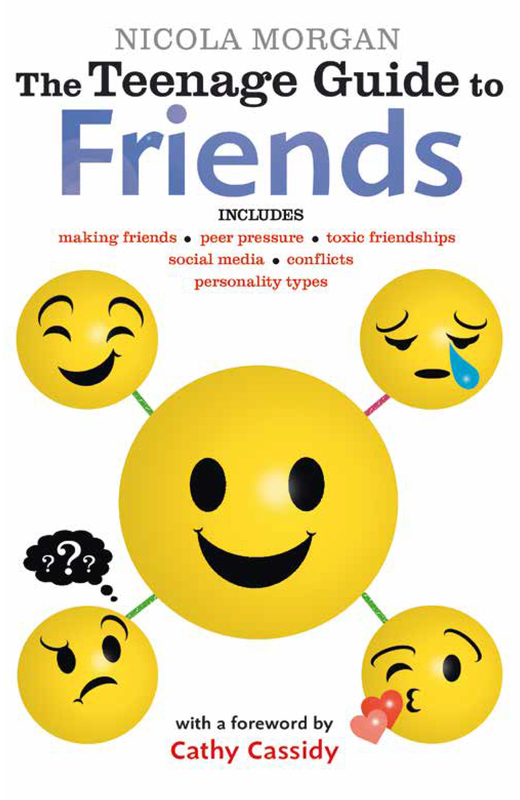 The Teenage Guide to Friends has masses of advice about this, including how to make and maintain good friendships and how to recognise negative friendships. Finally, if you are going through something like this right now, I’m really sorry. Here, have a big virtual hug from me. Or, if you’d rather not have one, have my solidarity instead. Simple answer (though I realise not easy to follow): ignore it. Did you know that chainmail has been around for a very long time? When I was a teenager, we had chain letters – yes, I know: LETTERS! Actual paper that would come through the post, telling us to send it to six other people and if we did we’d get lots of money (or something) and if we didn’t we would be doomed and cursed and die a painful death. It was really scary and loads of people fell for the con. The pressure to respond was huge: partly the fear of bad luck coming our way and partly (mainly) the fear of letting people down and breaking the chain. The advice then was NOT to reply. And the advice is the same now. You now also have the extra burden of things like streaks in Snapchat. Again, if you possibly can, don’t get caught up in this. Say you were ill or your parents banned you or you ran out of credit on your phone or your phone broke or you were too busy trying to change the world. Or just say you’re a leader, not a follower and you don’t do chains. Stand strong! Don’t be forced to do something you don’t want. Final tip: as with anything, it’s easier if we’re not alone. So, see if you can find someone else who hates these things. Then you can stand together and plan how to tackle the situation. Who are these people who are judging you? If they are not your friends, what right do they have to judge you? If they are your friends, they wouldn’t be judging you. g you? How do you know? It’s common to think people are judging us and, of course, sometimes they are. But sometimes we’re actually judging ourselves and just imagining that others are. Teenagers are changing all the time and each of you is trying to find out who you are becoming and who you want to be. You have some control over how that goes but you don’t have full control because there are lots of things about you that just are how they are. Try to relax about the things you can’t control and focus on the things you can. It’s OK to experiment with different looks; it’s OK to make mistakes. It’s OK to follow others if you want to but it’s also OK to be different. Be patient and kind to yourself – school can be tough with all this judging going on but you’ll carry on changing for a long time after school is over, too. Everything changes – thank goodness! I wrote a post about this in answer to another question – see here. Thanks to Perton Middle School for your questions! I’m very interested to see that the two main topics that are cropping up in the questions in this competition are image/self-esteem and screen over-use. Both Positively Teenage and The Teenage Guide to Life Online were clearly very necessary books! Phew! Don’t forget to check in here on Friday to see the announcement of winning schools.